July is the month of cookouts, vacations, fireworks, and loads of summer fun! 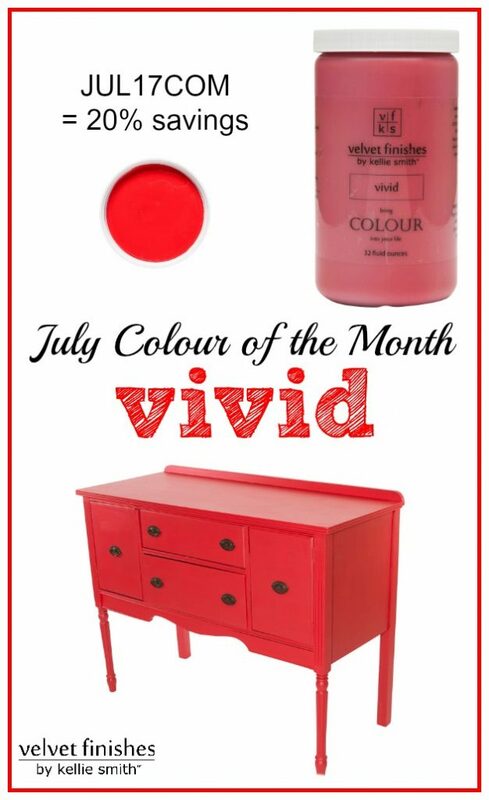 We thought that our true red shade, Vivid would represent the month of July well. 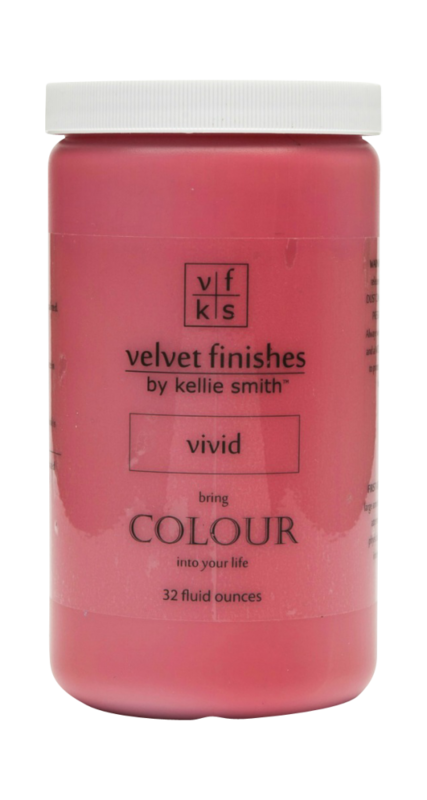 So let’s celebrate the new month with 20% savings on Velvet Finishes Vivid! Hurry and go get your RED on; this special that will be going on the entire month of July! Velvet Finishes Vivid: A strong, distinct, intense. An incredible shade of true red. Velvet Finishes Vivid at it’s finest! 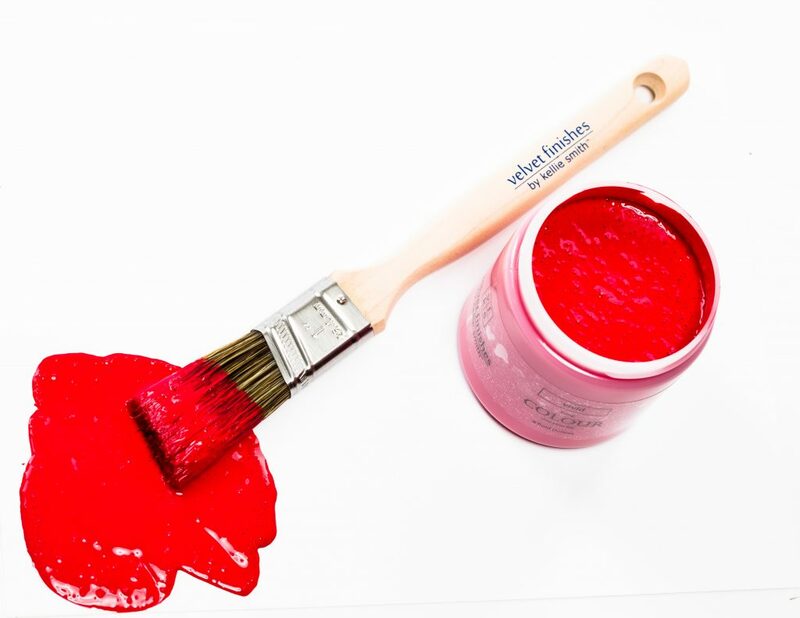 Such a highly-pigmented shade, don’t you think? Let’s take a look at the lady in red on some furniture, shall we?! 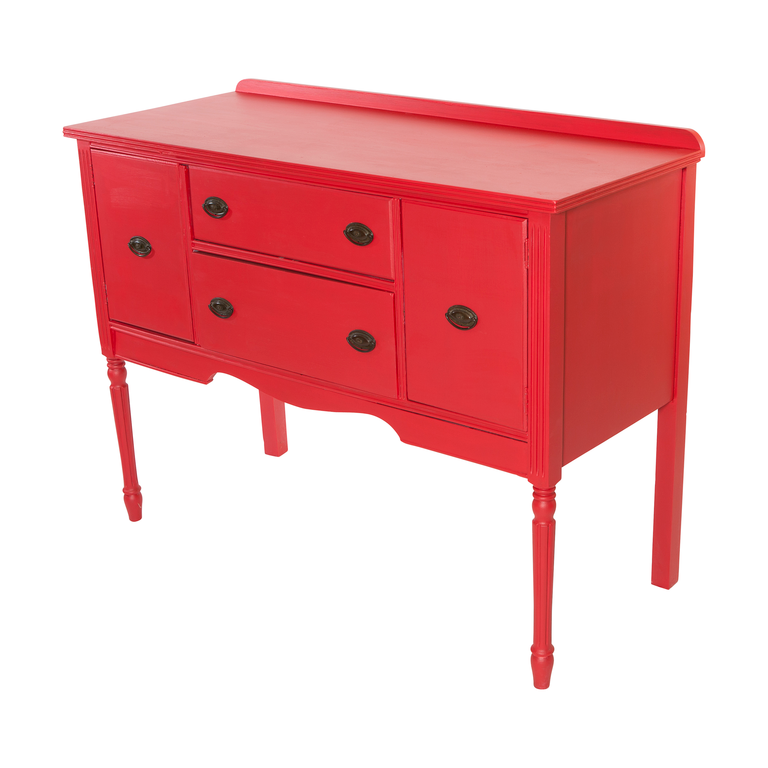 Red furniture is sure to make a statement in your home! Below is a piece that we painted with Velvet Finishes Vivid. An incredible shade of true red. 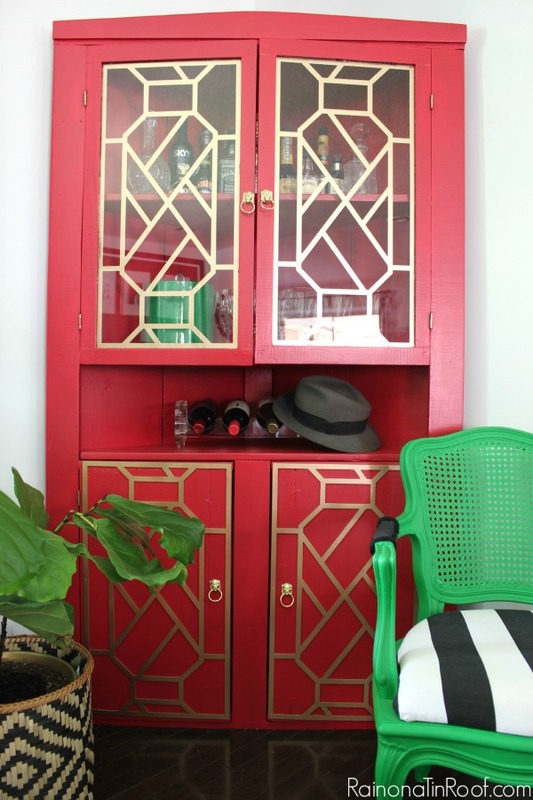 This Velvet Finishes Vivid liquor cabinet makeover from Jenna at Rain on a Tin Roof is one of my favorite VF makeovers. I love this bold, red hue so much. Jenna’s furniture makeovers are always amazing, be sure to check out her many other VF projects on her blog! 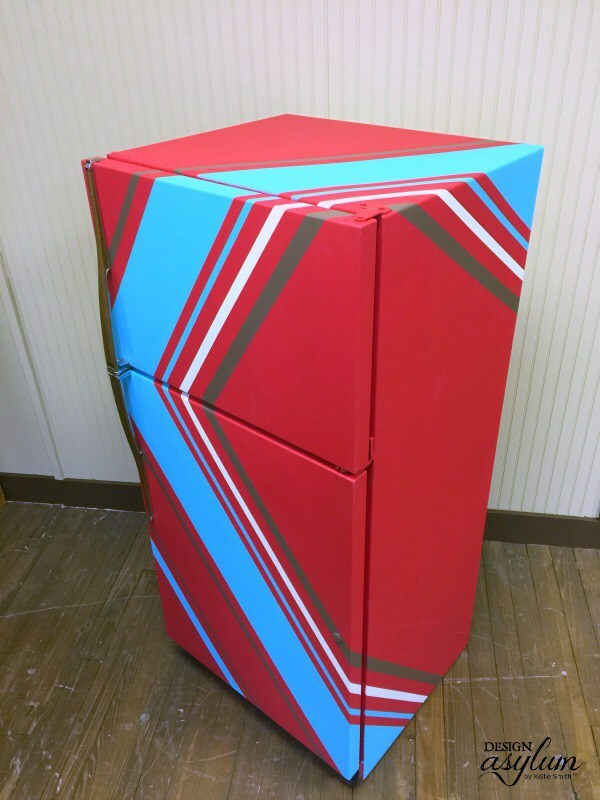 Remember that time that my friend found this abandoned refrigerator on the side of the road and we made it fabulous with Velvet Finishes Vivid? To date, this was one of the coolest projects I have gotten to do. Go here to view this fridge in all of its glory before I rescued it with Velvet Finishes! Hello Colour! 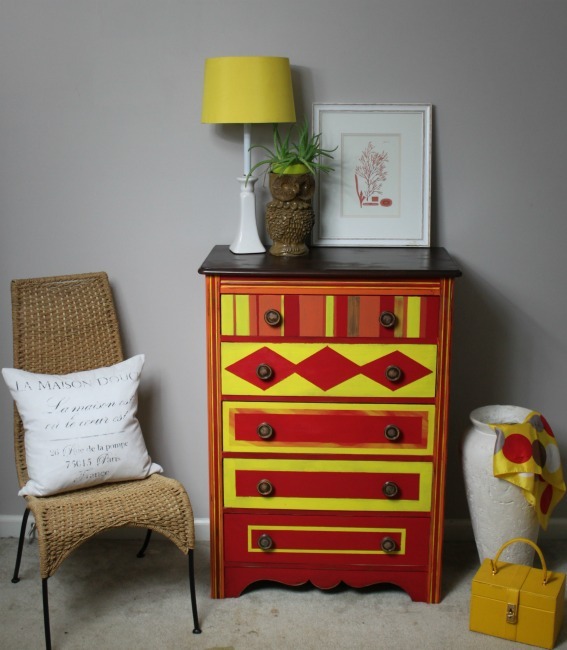 We are loving this Bold and Vivid makeover from The Blue Building Antiques and Consignment. Such a great colour combination, don’t you think? 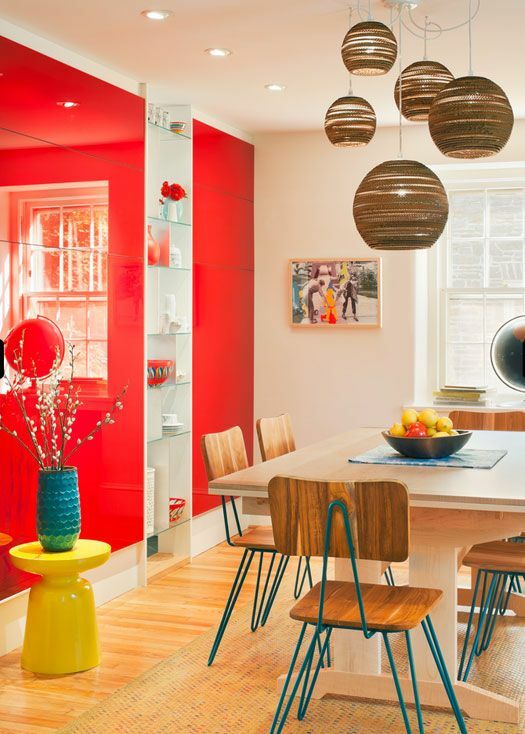 A chic, red dining space? I’ll take it! 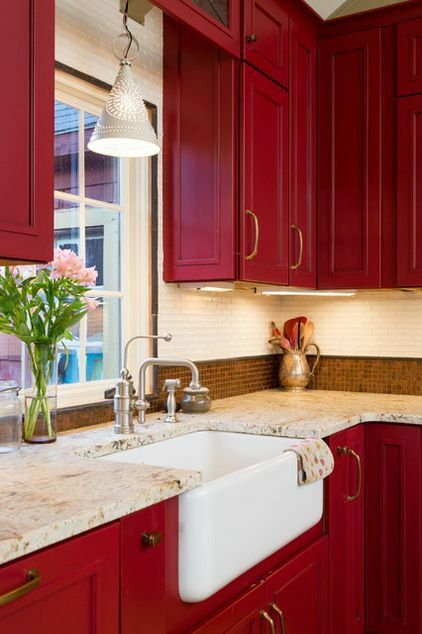 Red kitchen cabinets anyone? This bold statement is fantastic. Achieve this look with Velvet Finishes Vivid + refer to this post on 21 Colorful Kitchens that will have you Repainting your Cabinets with Velvet Finishes this Weekend for more cabinet inspiration! 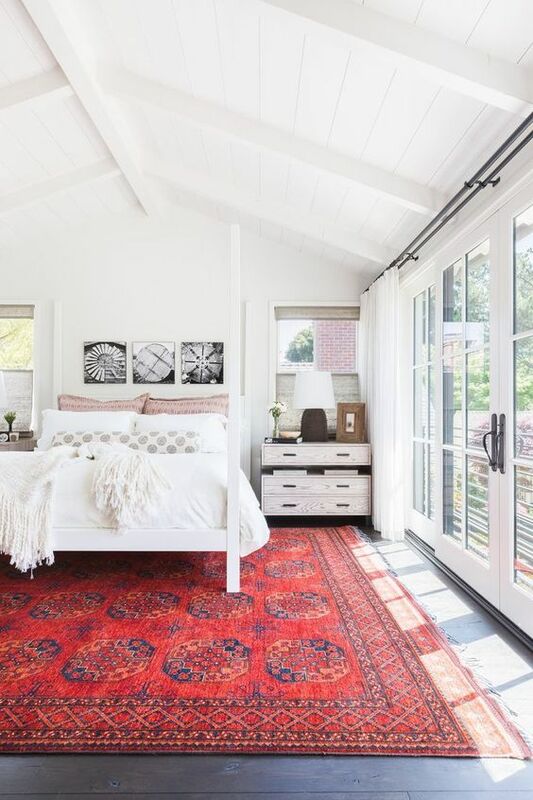 This red, vintage rug sure is easy on the eyes, I picked up my southwestern rug from here if you will like to get one as well! 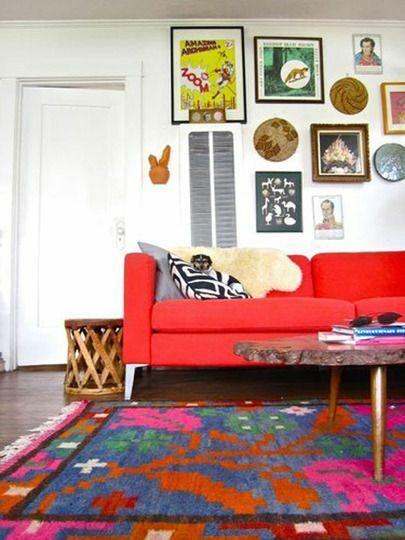 I love this red sofa paired with the multi-colored rug – so fab! 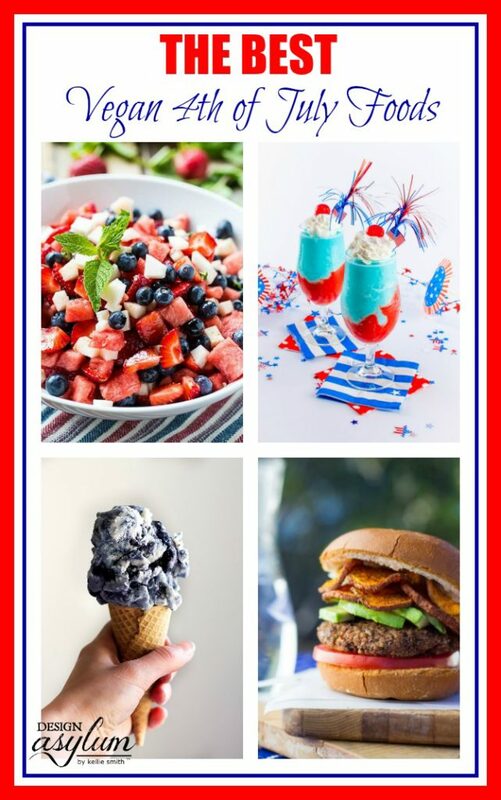 For more July goodness, take a look at these posts..
that not only you will enjoy, but all of your guests (vegan or not) will too! Red, White and Blue. The colors of our flag. And such an amazing color combination in interiors when done well. Check out these incredible Red, White & Blue Rooms by designers who knew how to do it right >> Design Asylum Blog! I hope that you are loving our Velvet Finishes July Colour of the Month and enjoy your 20% savings!! Follow Velvet Finishes on social media to keep up with current specials and projects! 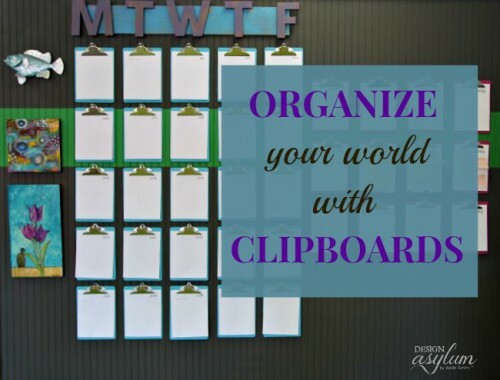 Also, be sure to subscribe to our Design Asylum Blog YouTube Channel to watch our VF tutorials!